I often say that a typical case takes about 2-3 years. To understand why, we need to look at patent law history. Previously, when a person received a patent, they had protection for 17 years after the date the patent was issued. That was different from the way it was done in the rest of the world. By the 1990s, it became apparent that business was really becoming global, and the United States needed to conform to global standards. So, in 1995, a law was passed that changed the calculation of a patent’s expiration date. Now, a patent is covered for 20 years after the filing of a non-provisional patent application. It is assumed that the patent process takes 3 years to get through. If the patent office has a delay, causing it to take longer than 3 years, the extra time is added to the patent. However, that only applies if the delay is the fault of the patent office—it does not mean that you can drag the process out or procrastinate. They still expect you to be prompt in your responses (“prompt” meaning within 3 months). So what, exactly, makes it take 3 years? Let’s break the process down. The patent examiner doesn’t see your application right away. The patent office is comprised of hundreds of “art” units, each specializing in a different area of patenting and each unit has its own examiners. Generally, the pre-examination processing takes 2-3 months before it is even assigned to an art unit. The backlog of un-examined applications for utility patents was about 550,000 as of February 2018, and that number has been steady for a couple of years now. The 2012 American Invent Act did increase the number of examiners, but the number of applications has also increased, so the backlog persists. 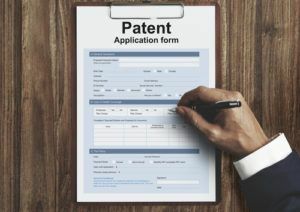 The 2012 American Invent Act states that the applicant should receive a notice of allowance within 18 months, but on average, it takes closer to 21 months for utility patents. The type of patent makes a difference. Design patents tend to move a bit faster than utility patents. The backlog for design patents is only 45,000, and it usually takes about 16 months to get a notice of allowance as of February 2018. Certain areas of art also have bigger backlogs than others. Those involving high-tech electronics and computer software are much slower because there are so many applications of this kind and they tend to be more complex. Those applications often exceed 3 years of pendency. By contrast, household items, for example, can go through fairly quickly. There are always exceptions. Remember, this is all “in general.” There are many variables at play, and there really is no way to predict with certainty how long an individual patent application will take.